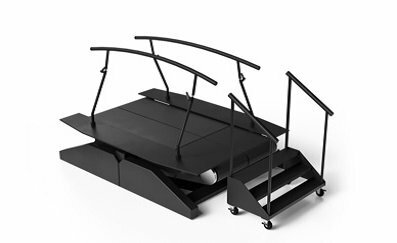 The DynSTABLE (Dynamic Stability and Balance Learning Environment) is a clinical solution for the assessment and training of every aspect of impaired balance control using a force plate within moving platform. 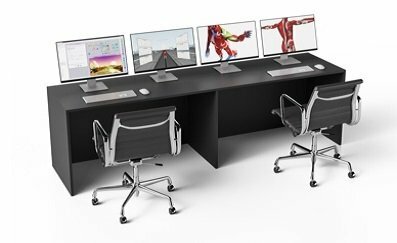 This system has been developed by Motek. 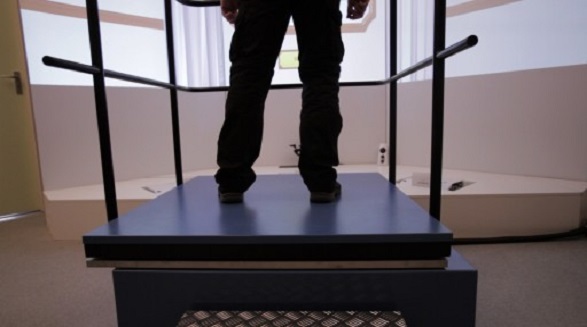 The system offers a combination of an instrumented force plate which moves dynamically, a motion capture system, and virtual reality (VR) environments. Scientists are able to assess how well a subject is able to cope with physical perturbations and balance, process visual and auditory information, and perform cognitive dual tasks. 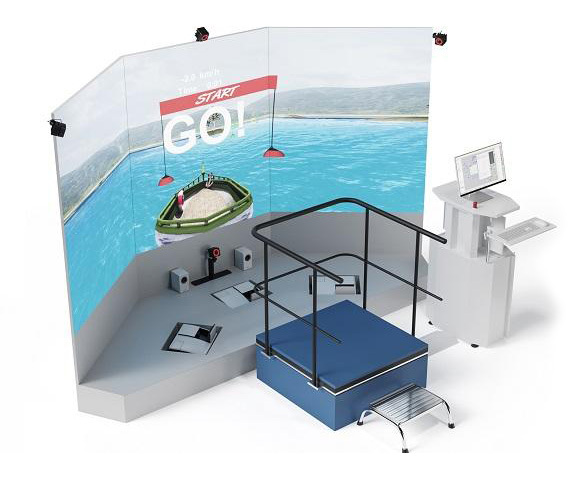 Dedicated assessment applications and motivating games assess the different aspects of impaired balance control and monitor patient progression with objective outcomes. Measured in real-time, you can make adjustments tailored to each patient, set challenges, monitor the immediate effects, and generate reports, all with just a few clicks. Body weight support is optional for patients who can’t support themselves unaided, and a safety harness will always be included so that your patients can progress within a safe environment. 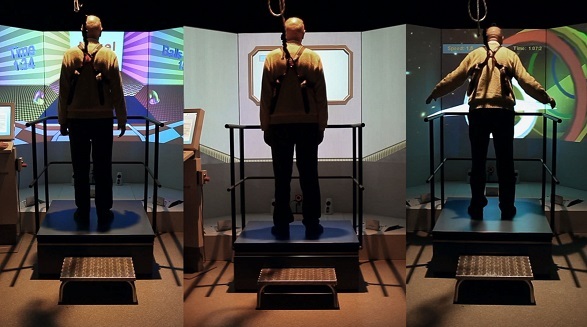 The DynSTABLE is idea for subjects who are involved in research for neurological conditions, stroke, Parkinson’s disease, traumatic brain injury (TBI), vestibular disorders, and musculoskeletal disorders. Download the DynSTABLE brochure here. 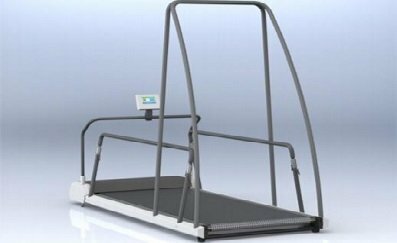 The STABLE (Stability and Balance Learning Environment) system is a medical device used to identify and improve stability and balance disorders in neurological and orthopaedic subjects, subjects with musculoskeletal complaints, and the elderly. 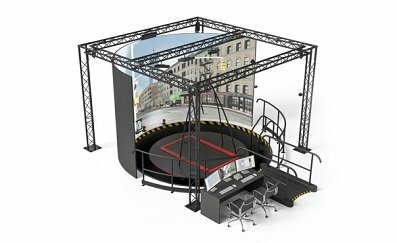 By immersing subjects in challenging environments, while providing real time visual feedback, postural stability, and balance training. This is all beneficial for fall prevention. 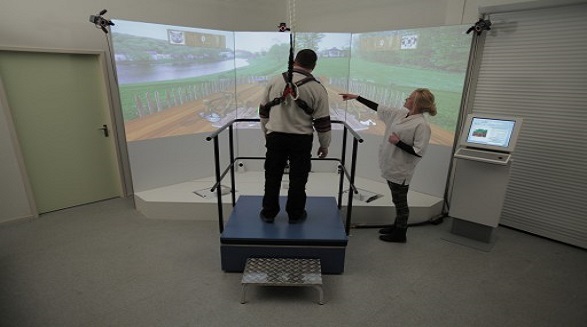 Easy-to-use dedicated virtual reality (VR) applications are used to obtain quantitative and objective balance measures like the functional reach test and the one-leg stance test. 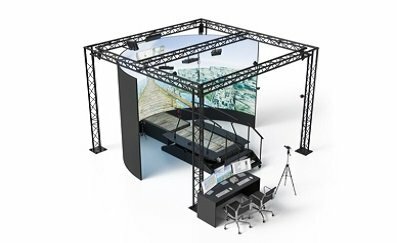 Rich virtual reality (VR) environments and game-play allow for fun, motivating and engaging sessions.